September 3, 2014 — When it comes to the states that have the most popular active adult and 55+ communities at Topretirements it is a 7 state race – with Florida far out ahead. Four states had 60 of the 100 most popular communities: Florida (25), Tennessee (12), Delaware (11), and North Carolina (12). Colorado and Massachusetts had their strongest showings ever (10 and 7 respectively) while South Carolina launched 5 communities into the top 100. With more than 300 active/55+/retirement developments in our database, Florida has more communities than any other state. That is at least one obvious reason for its dominance, along with its warm winter weather and lack of income tax. Delaware continues to have the best representation of any cold winter weather state with 11 communities on the list. – This year’s results support the notion that people are looking at retirement choices beyond the obvious destinations of Florida, Arizona, and the Carolinas. Tennessee, Delaware, and Colorado need to be taken seriously as best places to retire. Even Northeastern states like Massachusetts have appeal, presumably to their residents who don’t want to relocate. – We love that this list has so many newcomers on it – 38 new communities are on the 2014 list. Part of the reason for that is we continue to add new (and established) communities to our database. As they are added our members who subscribe to the Daily Digest and the 2 Communities newsletters (there is an East and a West edition) get links to them, and those visits count in this popularity contest. You can sign up for those newsletters here. – For the first time we had a number of non active adult/55+ communities make this list. These CCRCs, Lifecare, and Independent Living communities add a bit of variety, and show that many of our members are looking beyond the active adult lifestyle. – The Villages, the giant community in Central Florida, once again has the honor of being our #1 most popular active community in the USA. But this year the Indian River Colony Club in Melbourne (FL) gave heated pursuit. – Note that this year we will be adding a short description to each listing so our members can get a better idea of what type of community it is: active adult, all ages, 55+, independent living, lifecare, etc. The top 100 communities were chosen on the basis of visitor popularity at Topretirements during the period January 1 to August 31, 2014. The communities whose listings were viewed by our visitors the most (as reported by Google Analytics) were the winners. Please see the end of article for important details on the selection criteria. 1. The Villages (The Villages, FL). 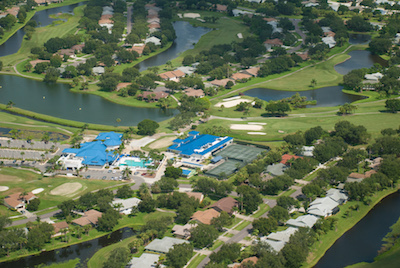 The Villages sprawls over several counties and has 100,000 residents and 33 golf courses. The Villages page at Topretirements was viewed over 7,000 times by our members and visitors in the 7 month reporting period. 2. Indian River Colony Club* (Melbourne, FL). This community with lake and golf view homes is quite large with 23 lakes, more than 40 clubs, and every amenity including golf course and the At Ease Club. 3. Valencia Lakes* (Tampa, FL). Offers resort lifestyle with its own waterfront recreation area. 4. Fearrington Village* (Chapel Hill, NC). This beautiful community has a 5 star restaurant, single family or town homes, and a Duke affilated CCRC on campus. 5. Millville by the Sea (Bethany Beach, DE). Located next to Bethany Beach makes this a resort community, with a new Lifestyle Center. 6. Palmer Ranch* (Sarasota, FL- New). A master planned community with over 20 neighborhoods as well as business and recreational facilities. 7. Fairways at Savannah Quarters* (Savannah, GA). A gated community for active adults in coastal Georgia, with resort style amenities just steps from your front door. 8. Lake Weir Living (near The Villages, FL). An active adult HOA-free community, where homeowners can design a home to fit their lifestyle. 9. Lakewood Ranch (Bradenton, FL) (was #82 in 2013). A master-planned community on 17,500 acres and comprised of seven villages with lakes, parks, open spaces, golf, tennis, clubs, and shops. 10. Tellico Village* (TN). Situated on giant Tellico Lake, this community has 6,750 residents and is open to people of all ages. 11. Talking Rock* (Prescott, AZ). 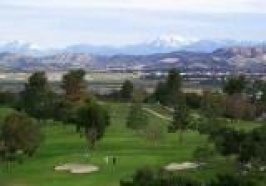 Community offers Ranch cottages, Ranch homes and custom homes, many with mountain views and a beautiful golf course that was designed in harmony with nature. 12. 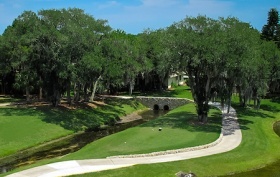 Coquina Crossing* (St. Augustine, FL) (was #26). This 55+ community is made up colorful manufactured homes and offers resort-style amenities. 13. Moore’s Valley(Asheville, NC). A gated community in the Blueridge Mountains, just a few miles from Asheville. 14. The Moorings (Vero Beach, FL). An ocean-to-river club community surrounded by water. 15. Valencia Cove* (Boynton Beach, FL – New). This 55+ community features a 10+ acre recreation area with tennis, pools, and more, plus a 39,000 square foot clubhouse with a full-time lifestyle director. 16. Riverstone* (Naples, FL). An all ages community that offers resort-style living surrounded by lakes and preserves. 17. Hot Springs Village* (Hot Springs, AR). The nation’s largest gated community has been recognized as a “Top 100 Master Planned Community” by Where to Retire Magazine. 18. Laguna Woods Village (Laguna Woods, CA) One of the largest active adult communities on the west coast, just minutes from the Laguna Beach coastline. 19. Toscana (Reno, NV, new). Offers 10 miles of hiking and biking trails within the community’s 861 acres. 20. 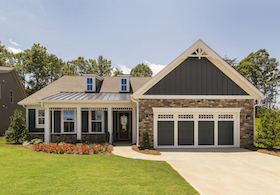 Crossroads by Jensen Communities* (Aiken, SC – New). A gated, manufactured home community for active adults 55+, and features 1/4 acre treed homesites. 21. The Tides at Charleston (Staten Island, NY). This gated,waterfront community is the first 55+ active adult community in NYC. 22. Silver Sage Village (Boulder, CO). This upscale community is perhaps the most famous co-housing retirement community in the country. 23. Peninsula on the Indian River* (Millsboro, DE). A large 55+ community with Jack Nicklaus Signature Golf Course and every type of amenity. 24. Traditions of America at Bridle Path* (Bethlehem, PA). 55+ lifestyle with resort like amenities and single family homes. 25. Harbour Crest on Lake Chickamauga (Chattanooga, TN). Lakefront community of single family homes. 26. Holly Lake Ranch* (Tyler, TX). Single family, condos, or villas with every type of amenity. 27. Black Creek Mountain (New -Chattanooga, TN). Single family homes, all ages. 28. Lost Dutchman (Apache Junction, AZ – New). Manufactured homes with amenities. 29. The Coves* (Boone, NC). Master planned gated community in the North Carolina mountains. 30. Riverbend (New Castle, DE). Townhomes, single family homes, large clubhouse. 31. Biltmore Lake (Asheville, NC). 500 homes, master planned, different neighborhoods. 33. Solivita (Kissimmee, FL). 55+ with different home choices and 150,000 sq. ft. of amenities. 34. Sun City (Sun City, AZ). The original active adult community! 35. Meadowbrook Heights (Franklin, MA – New). Townhouses and duplexes. 36. Del Webb Naples* (Ave Maria, FL – New). A community within the exciting new master planned community of Ave Maria. 38. Village Walk (Bonita Springs, FL). A lakefront community of luxury single-family, patio, and town homes. 39. Cottages at Feathers Chapel (Blountville, TN). Maintenance-free luxury ranch homes with beautiful mountain or lake views. 40. On Top of the World* (Ocala, FL). A huge and very established active community with every conceivable amenity. 41. Rockland Place (Wilmington, DE). Offers independent living, assisted living, and two levels of memory care. 42. Courtyards at Brandywine (Wilmington, DE). A 55+ active adult community offering carriage homes. 44. Balsam Mountain Preserve (Asheville, NC – New). Mountain view homesites with elevations up to 4,700 feet. 45. Reserve at Lake Shore (Chattanooga, TN – New). Waterfront rental apartment homes. 46. Avery Ranch (Austin, TX). A large master-planned community with over 4,000 homes. 47. Carillon at Boulder Creek (Boulder, CO – New). A community of rental apartments in the heart of Boulder that offers independent and assisted living. 48. Tollgate Village (Franklin, TN). A master-planned community of cottages, townhomes, and custom homes. 49. Heritage Shores (Bridgeville, DE). Features an Arthur Hills championship golf course and energy efficient homes. 50. Lawton Station* (Bluffton, SC). A private, gated community located in the Lowcountry of South Carolina near the beaches of Hilton Head. 51. The Villages at Brookside (Bedford, MA – New). Energy star rated homes that feature traditional Cape Cod style exteriors. 52. Cascades of Sarasota (Sarasota, FL) A 55+ gated community with resort-style amenities. 53. The Orchard Villas (Apex, NC) 55+ community offering one-story living. 54. Bay Forest (Bethany Beach, DE). An all ages master-planned community close to the beach. 55. Wynmoor by the Sea (Coconut Creek, FL – New). A large 55+ community of condominiums. 56. Lofts at Mica Village (Asheville, NC). Loft-style living in an eco-friendly community. 57. Angola by the Bay (Lewes, DE). An all ages waterfront community with marina. 58. Bridgemore (Knoxville, TN). An upscale community of single family homes for all ages. 59. Bay Indies* (Venice, FL – New). A large manufactured home community for active adults 55+, close to the beaches of Venice. 60. Southern Palms* (Ladson, SC). A gated, manufactured home community for 55+. 61. Palmas del Mar (Humacao, Puerto Rico). A waterfront resort community. 62. Del Webb Village at Deaton Creek* (Hoschton, GA). A 55+ community for active adults that offers the charm of the north Georgia mountains, and all the amenities. 63. Four Seasons at Silver Maple (Middletown, DE). A new active adult community offering one level living. 64. Fairfield Glade (TN). A very large master planned community of over 8,000 residents with its own zip code. 65. Brunswick Forest* (Wilmington, NC). All age community centered around an active golf community lifestyle. 66. Antelope Ridge (Colorado Springs, CO – New). A community of energy efficient, manufactured ranch homes. 67. MacKenzie Place (Colorado Springs, CO – New). Independent and Assisted Living. 68. Albuquerque Meadows (Albuquerque, NM – New). Carefree senior (55+) community living in affordable manufactured homes. 69. Bonita Fairways (Bonita Springs, FL). Single family and condo homes with executive golf course. Rentals. 70. Willow Springs Reserve (Johnson City, TN). Custom one-level Villas with no steps and a host of features. Clubhouse. 71. Gulf Coast Village (Cape Coral, FL). A Continuing Care Retirement Community (CCRC) that is non-profit and faith-based. 72. Boca del Mar (Boca Raton, FL – New). Large Master planned, All ages. 73. Down Yonder* (Largo, FL – New). RV/Mobile Homes. 74. Wildflowers at Wallkill (Middletown, NY). Single family homes in a gated, active 55+ community. 78. Bayfront at Rehoboth (Lewes, DE). Waterfront, single family homes. 80. Valencia Reserve (Boynton Beach, FL). A gated, 55+ community offering single family homes. 82. The Ponds* (Summerville, SC – New). An all ages master planned community in an idyllic and historic Lowcountry setting. 88. The Village at Russell Farm (Methuen, MA – New). A 55+ community offering single floor living and a maintenance-free lifestyle. 94. Halfway Tree Mobile Home Park (Hendersonville, NC). Mobile homes with amenities. Here is a link to more than 2800 more active adult communities at Topretirements, by state. – Many of the active adult communities making the list are in towns that are 100 best places to retire at Topretirements. Communities listed with those towns have a better chance of making the list. – Finally, some of the larger, incorporated communities have additional, higher profile pages on our site, which also helps them in the rankings. Those include The Villages, Tellico Village, Hot Springs Village, Laguna Woods, etc. What are your impressions of this list? Do you live in one of these choices are have you checked some out? Is there a community (but not one you work for!) that you felt is overlooked? Please share your observations with your fellow members in the Comments section below. Glad Vickie found a home she and here husband are happy with. HOWEVER, I believe they misunderstood the “HOA” fees. My wife and I live at IRCC and have for several years. I challenge Vickie to set down with me and discuss the benefits of the “HOA fees”. If the money mentioned was in effect a dollar loss I would accept her point. However, in the time we have lived here we have received at least that much if not more in tangible benefits. I challenge Vickie to evaluate the dollar cost with a home maintenance organization that provides identical coverage and service that is available 24/7/365. I ask that Vickie compare the amenities and fees associated with her new community to the amenities and fees associated with IRCC. I truly believe the so called “HOA fees” of $900 will not be much of an issue. Again I congratulate Vickie and her veteran husband (thank you for your service sir) on their find and I wish them much happiness in the future. Thanks Vickie for your comments. The list is a good way to begin the research process. A trip or two or more would likely follow. But for people using this site who are beginning the research process, I think it’s more helpful to know where retirees are actually choosing to live. A list such as this certainly gives us some ideas….but I would find it more useful to have a popularity contest based on where people on the site are actually choosing to live. It would be even better if they would share why. The way this list is vurrently compiled, according to your description, it obviously favors communities stll selling new homes that are advertised regularlly. Would like to see some method of measuring popularity of established communities like the one in which I live, which is extremelly well managed. It is located in the mid-southern part of New Jersey so is not necessarily on the radar of future retirees. 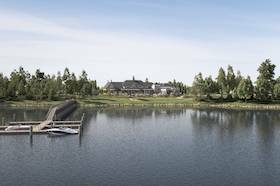 It is comprised of roughly 1450 single family detached homes with a 38000 ft clubhouse and a wide variety of amenities, including our own private golf course. However, it is 14 years old and there are only 10-20 resales available at any given time so it gets virtually no publicity. Have you or anyone ever compiled a list of great retirement places that also offer small full service airports, for those that wish to maintain flying as part of their recreational option? That is our number one criteria. Editor’s note: Thanks Caps, glad you like it. You raise a great point. You can use our Advanced Search to find exactly what you are looking for. Go there http://www.topretirements.com/Browse.html and select “Airpark” under Advanced Search for Communities – you will see we have 5 communities that claim to have airparks in our database. There are lots of other amenities you can search for as well – and you can further narrow with other selections such as State. I think the list is a great beginning, but agree with Karen. Where are people actually retiring? I continue to marvel at the Eastern slant of this website. Maybe it’s because we have no water out West. If this drought continues much longer; maybe there will be a general migration towards the East. Here in Southern California this severe drought brings the terrible risk of major brush fires in the fall when the Santa Ana winds start howling. Also, we always ask when is the big one coming ( Earthquake ). And yet with all the potential of natural disasters; 38.3 million people call California home. You cant really be serious about Staten Island being a good place to retire or even live. Trust me on this! Anyone who is looking to retire DO NOT CONSIDER New York as a place to go. I have lived here my whole life and cannot wait to get the hell out. Bubbajog, cost of living may be an issue, at least for some of us. Admin, ( I am not sure how to start a separate topic) perhaps I have not looked closely enough, but do we have a link for the most pet friendly communities? My husband and I can’t be the only ones who love their pets so much, they are first and foremost in our decision making. Someone else brought up the issue of large lots for their retrievers. Being able to put up a fence seems to be another issue. We so would love to find a place that isn’t too restrictive of, i.e., size of dog (although restrictions on vicious breeds is a must). Shouldn’t it be much more important that pets are well behaved and cared for? In our search for an appropriate community, we have often wished that we could rent first, buy later. Not only for our sakes, since we don’t have near by neighbors where we live now and may have to adjust, but also for our pets (2 little ones). How will they react? We so wish we had the money to invest, buying up some land and starting a very pet friendly community. Who knows, someone with enough business sense may read this and see it as an investment opportunity, as something that hasn’t been done before, a niche that should be filled. Editor’s note: Thanks to this suggestion we did start a separate Blog post on pet-friendly communities, which is getting some spirited discussion. Check it out. Godsgirl, Thank you so much for all comments. I’m going to try and address a few. Pet friendly…they are out there. Renting before buying…This is exactly what my husband & I are doing. We have visited many areas in NC & recently SC. We just returned from Greenville, SC… It is just beautiful there. We are looking in the “Simposnville”,Muldon area. There are lots of communities with rentals & are pet friendly. (I’m happy to send you some links if you would like to share your e-mail address with me.) Most of my homework has been done here on TR. However I also search Trula, Zillow, and of cause Craigslist. I also subscribe to Ideal Living, Forbes etc. I have purchased from this site a detailed, outlined by State,City “The ultimate guide to living the Carolina’s” NC verse SC. by “Robert J. Bencivenga.” He also offers a free phone interview in an effort to get too know more about you and, what you are looking for. Great guy! Roseann, thank you kindly for your offer. Sadly, I don’t know how to forward my EM address to you. Perhaps admin can help us out? We are mainly interested in FL communities. I just read about your trip to Greenville, SC, I have a friend who relocated there from Massachusetts and they absolutely it there. They are not retired it was a job transfer. Thanks for mentioning about the pending tax laws in NC, after some initial reading I concluded that SC is definitely must friendlier. Here is my email address batwing333@yahoo.com would appreciate any links you have available. We are in CT and hopefully our house will sell soon. SC is much better with regard to ALL TAXES and especially if you are over 65. Thats been our info gathering find. We are looking at Conway, SC and South Myrtle beach along with consideration of NE, Tn. We must think alike. We like the same areas as you do. In fact, we may want to rent somewhere near those areas from Jan. thru March 2015. What we are finding seems really expensive, as many of the vacation rentals are accustomed to high weekly rates. We would also consider FL, yet we aren’t considering a permanent move there. We are non-smokers, non- pet owners, responsible and very trustworthy. We would treat someone else’s place BETTER than our own. If any of the readers here know of anyone that needs a house sitter, or some extra income from a home that isn’t selling, could work. Our first choice is around Knoxville up I-75, all the way to LaFollette. On or near the water would be great. We would also consider near the east coast NC, SC, GA, or the golf. We mainly just need to get out of the cold this winter. DH retires on Jan. 2nd. Yahoo! Could you post about affordable places to retire? Editor’s note: See our NC Guide to Retirement, http://www.topretirements.com/state/north_carolina.html ,which states: Social security exemption. Social security benefits are deductible for NC taxation as long as you included them in your federal adjusted gross income. So Ella, we think you are correct. Thanks for the link Lisa. We have visited Tellico, and we did like it. It has a lot to offer. Although, we would prefer to try NW of Knoxville as our first choice. We know we will not be moving to Tellico because there isn’t a nearby airstrip. Ella, I’m not 100% sure….I will look through all my info and get back to you. I would love to join a bus trip for the purpose of scouting retirement locations. I would fly to the city, then join a tour bus. I’m a non-driving New Yorker and it’s extremely difficult for me to scout an area in person. Is there such a thing as a scouting bus? Otherwise, is there someplace on your web site that I can post a request for a scouting partner? Notice that all of the posters here done these trips with their spouses. What’s a solo retiree to do? OK, to all who have read my post about Taxable SS in NC….I’m stilling for where I found that info. However today i searched again and, I believe Ella, may be correct. Sharon: I’m solo and enjoy going solo to check places out. How wonderful to do only what I want to do, not having to take anybody else’s “wants” in consideration. However, since you don’t drive, I think you’re limited in where to settle. Big cities with a good transportation system and a good walk score would probably be best for you. Have you thought of Atlanta? I’m not looking to be right. Just want to have the right information. Thanks for the great link to NC (See our NC Guide to Retirement, http://www.topretirements.com/state/north_carolina.html). Lots of terrific information! Where are you in NY? I live one town east of Poughkeepsie, about 100 miles from NYC. I would possibly be interested in touring certain areas in VA, NC, TN, GA, and maybe NW SC next month with a woman companion. That way my husband could continue to work and take care of our cats and home. Are these states you’re interested in? Of course, we’d have to talk (quite a bit) to see if this might work. Editor – any way to exchange tel. numbers or email addresses privately? The difficulty with state taxes is that they can change. So it matters to my decision, but not the most important factor. Visited Heritage Shores in Delaware a beautiful 55 community with tons of amenities and more coming. There will be 1200 homes when completed more 400+ there. Has a public golf course , 2 restaurants and a tavern. It’s located in Bridgeville about 35 mins. From Rehoboth. I live in NJ right now and am struggling with leaving my daughter and 2 granddaughters 14 and 12, we are about 20 mins. Apart now! Does anyone have any suggestions on how they dealt with this?? Thanks for that link. IF i understand it correctly, it states that any portion of my ss benefits the Federal gov. doesn’t tax, the state of NC (if i’m living there) will! Yuck! Something new to be aware of in my search for the right state! Many thanks! Now, I’m confused…..I beleive they do tax your SS. I’m going to do an in depth search today and get back to all. Number 95 states Carolina Preserve (which is in Cary, NC). I think you meant Carolina Lakes which is in the Charlotte area of NC and where the link takes us. And some folks might like the fact that Carolina Lakes is actually located in SC. Editor’s note: Elaine, thanks for the correction. We really did mean Del Webb Carolina Preserve as #95, but unfortunately did not provide the correct link to that community. Now corrected. # 95…now with the correction the link looks like it goes to Carolina Preserve (Cary, NC), but actually goes to Carolina Arbor (Durham, NC). Carolina Preserve is built out so only has resales available. DelWebb sends you to the newer community in Durham, which is still building. I have a question for those who have purchased homes in active adult communities: Have you been able to negotiate a lower new home purchase price, lower than the quoted advertised prices? I’m currently in FL checking out several active adult communities, looking at model and quick delivery homes, and being shown the advertised prices. When buying a resale home buyers typically make initial offers lower than the asking prices and then negotiate from there. Just wondering if those same practices apply when buying a new home in an active adult community or if the sales people stick to the quoted prices. My quest to negotiate a lower price on a new home in a California 55+ community got me zero. They resist any price changes. In fact, they quote (low) prices on web sites and ads but when you visit them there are no homes available at those prices. Most are 30+ k more. Lots and lots of necessary options. Depressing. You are probably not going to negotiate a price lower than the advertised price for a new retirement home. Most retirement home builders “low-ball” the base prices to get lookers and then make a killing on options. Most builders do not give any credit for standard items and double charge for the labor portion of the option. Try to negotiate the total price for a retirement home with the options that you need and want. To do this, you have to resist the builder’s efforts to get you to sign a contract prior to going through the design center process. Some builders will charge a small fee to consult with their designers prior to signing a contract. This fee should be credited against the purchase price. You should be able to get an options price list prior to any serious purchase discussions. Rough out the options that you think that you want prior to getting serious. Then, if the purchase is still feasible, go through the design center selection and then negotiate for all you can get. As in all negotiations, be prepared to walk away. When, usually not if, the salesperson calls you back, you should get at least 5% off of the total price. Thanks, I will try those suggestions when I go back. Florida’s beaches are concrete jungles . Add bugs and humidity ; no thanks . I’m staying put in Northern California where I was born . Can’t say I would recommend it now because of the absurd real estate prices , but if you can afford it , the less populated areas of Ca. are still the nicest places to live in the U.S. . The climate is the best in the world . Eric – Your advice is fantastic and is going to be very useful to me. Thank you! I am thinking about a particular 55+ community for my retirement in about 2 years. I really liked the model homes. When I spoke to a salesperson at a very busy open house, she mentioned that “most people add at least $100,000 in options.” For a 2 BR, 2 Bath home with about 1,800 sq. ft., that’s a lot of options. Everything I liked in the models, from the front door to the fixtures, are going to be an option. I can’t imagine what a stripped down model would actually look like, but I’m sure they don’t sell many of them. I met a few people who said that they planned on doing stuff themselves, like installing fixtures and backsplashes, because it would be so much cheaper than having the builder do the work. Builder credits for appliances, flooring and other items that you might want to install on your own are minimal. I understand that the builder is trying to make as much profit as possible, but it’s definitely going to be a challenge to keep focused on the bottom line through the process. Again – thanks for the good tips. I’ve had the same experience with those high options. Another consideration is those extra options added before sale of a new house set the basis for real estate taxes (I live in California). So adding $X thousands to the purchase price adds to your forever property taxes. If those options are added after escrow, you save on taxes (in my opinion). My wife and I visited Lakeside Crossing in June and were impressed by the quality of the homes and the amenities. Even though they are manufactured homes they do not look like trailers. My only concern is you do not own the land you lease it. I don’t know the pros and cons of land leasing. Maybe someone more familiar with that aspect can comment. One resident said if we were interested in purchasing there we should investigate the resales first. Even their sales agent said their biggest competitor was the resale market. It is high on our list when we retire in three years. Re Lakeside Crossing in Myrtle Beach – I lived across the street in Myrtle Trace (there is also Myrtle Trace South and Myrtle Trace Grande). We had someone from Lakeside Crossing look at our home in Myrtle Trace when we had to move and they were very unhappy with the HOA/land costs – well over $500/month last year (2013). Myrtle Trace isn’t as “fancy”, but it is a much better choice over Lakeside Crossing – the neighborhood is GORGEOUS, neighbors are very friendly, have a very active clubhouse which provide easy ways to meet people. We moved this past May and I really miss it – health issues made a move closer to family necessary. This comment came in from Linda. Anyone care to comment? Why doesn’t trilogy build any communities in oregon??????? Having lived in these various (Fl) communities for the past 15 years – most were nice but unless you want the amenties, security(?) etc and can afford a “stick built” (regular) house I blv we will better off by buying a small home with little land. In various States/places the taxes for the type home we wish to purchase and in the localities we can afford are going to be in the $500 a year range!! Lot less that $4800.00 a year depending on the amount of lot rent. RE taxes are a deduction on your taxes not lot rent. Of course it’s their money and their desires. We are continually “downsizing” the more “seasoned we become” Cheaper to heat, cool and pay taxes. May we all possess WISDOM in our decisions. meant to get back on NC and SSI. NC is one of the states that I am interested in. NC does NOT tax SSI. the confusion is that the Federal government does tax SSI. So NC starts with your Federal Income tax and allows a Deduction from NC taxes for the portion of SSI that was taxed by the Federal government. SO no taxes for SSI. This might better belong in a best/worst state blog, but this is where it was started. Elaine, I don’t have time to go back and re-read about NC taxes right now, but i’m pretty sure that NC DOES tax any portion of SS income that has not been taxed by the Federal gov’t. And as the Fed gov’t (usually) doesn’t tax SS income once the recipient is retired, that means that NC will tax the entire amount. As i said, i need to go back and re-read; but i’m throwing this ‘out there’ in case someone else has the time before i do. Back to active adult communities…well almost. Has anyone visited The Vineyards near Charlotte NC? http://www.thevineyardsonlakewylie.com/p_4850-active-adult.html . I think the location has alot to offer for someone who wants to be close to a city and can enjoy a more relaxed home environment on a lake. I am not enamored with the builder…please no discussions of builders. If someone wants to email me privately easper@umw.edu about builders that is fine, but I do not think admin would appreciate the discussion. Would like to hear from anyone living in or who has considered moving to Vitalia at Tradition or TownPark at Tradition in Port Saint Lucie, FL. Same for Del Webb Ponte Vedra in Ponte Vedra, FL. The idea of living in an active adult community that is part of a larger master planned community appeals to me. Thanks for any information you can share. We moved to Vitalia (55+ gated subdivision) at Tradition in February from CT. We really like the community, people are friendly, lots of activities, close to stores and just west of I 95 (5 minute drive), We are 45 minutes to West Palm Beach airport. We have a brand new 24,000 sq ft club house. Currently there about 350 completed homes with an expected total of 1,200. Thanks for sharing and the positive comments about Vitalia. Did you consider TownPark, also at Tradition? If so and you don’t mind sharing, what features caused you to choose Vitalia over TownPark? Did you consider other active adult communities? I just got back from St. Augustine, FL. I LOVE IT THERE. I stayed in the uptown area of San Marcos. I love how the city is so easy to navigate. I have one more place to check out….Athens, GA. I have family in that area and near Atlanta. But right now, St. Augustine is it. I won’t be looking for a 55+ community though. I prefer a mix of people. Anyway, if you’re looking for an area that still has changing seasons but much milder than the northeast and prefer a city-like environment, check out St. Augustine! I too have a home in Vitalia and find it to be a great 55+ community in such a desirable area with everything so close, shopping, hospital etc. Town Park is not a 55+ community although I have heard they are trying to have an area of the development for age restriction. Some people have actually moved to Vitalia from Town Park because of the new club house and all the activities which seem not to exist in Town Park. The ads for Town Park give the appearance that it is for active adults but it is not a true 55+ age restricted community at this time, but it may change. I have looked at other communities in other states and even if the taxes are less the homes are more expensive. There is no true new 55+ community within 50 or more miles from Tradition and especially at these prices and with this convenient location. Thank you Barbara for sharing that helpful information. I had the impression that TownPark was an active adult community based on their ads and when I contacted them they said they are not an age restricted community. I’m going to be visiting Vitalia on Tuesday and look forward to seeing the community and homes. I do wonder about the HOA fees of $372/month, that seems high. I also heard that St. Lucie West is worth checking out. Can ou offer any insight on that community? Thanks!! Tom, please let us know what you find out about Vitalia when you visit. I would like to know more about AV Homes in general. I look forward to your findings. That HOA does seem high. Let us know what is included. As I research, I have found that some HOAs do not include lawn care. I have found others that include such things as basic cable, etc. Then some places have great amenities in the club house, but charge for classes ala carte. It can be hard to find the things that you want included. The $372 seems high to me, I think it is less per month, but factor in Cable, WIFI, irrigation for lawn and all lawn services, which are all included. Traveling only a mile or two for shopping, restaurants, healthcare, etc. savings on gas. The new clubhouse activities and free classes for fitness plus the cost of the homes are far less. St. Lucie West has several active adult communities, Kings Isle and The Cascades, both have resales only. PGA is not age restricted but nice and active along with Verono. Port St. Lucie is growing and the biotech industry is poised to grow in the area. Location is great near 95 and travel is easy. Good Luck!! HOA includes lawn maintenance, cable, internet, security system, and club house activities. Cable and internet is $135.85 of the $372. The new clubhouse has a resort style pool. The biggest draw for us is the friendlessness of the residents, variety of the area restaurants, 50 minutes to Palm Beach airport. Also we find the cost of electricity is much lower than where we lived in CT. Anyone who visits should talk with residents. Ralph, I am not Tom, but do appreciate the input you provided on the HOA. Sounds reasonable with cable and internet included. Comcast? Since you live Vitalia, would you also let us know your general impression of AV Homes. I have sort of considered Vitalia and may visit, but was also interested in NS location of AV Homes. Unfortunately, I do not think that the timing will work on the other location. # 1 RULE = Buyers Beware/ Caveat Emptor. # 2 = All thing in life are NEGOTIABLE except death. IMO – anyone that does NOT want to negotiate reasonably – I WALK AWAY. These 2 rules will save you lots of money and headaches. Lots of people/homes/.communites/towns etc are more than willing to accept our hard earned/savings money. We have found that, generally speaking, new home builders do not negotiate, but simply keep adding to the price. The advertised price isn’t exactly what you pay – additional “premium” costs for the lot, elevation premium costs – all sorts of extras before you even begin adding inside extras. Seems as though the negotiating is really on resales. Asked on another “topretirements” blog, but will try again. Does anyone know about AVhomes (http://www.avhomesinc.com/ ) in general? especially their over 55 communities like Solivita and Vitalia. Any comments would be appreciated. We live in Vitalia and AV builds a good home. These are not custom built homes (prices reflect this), but there are some options. Our home is an open floor plan and it suits our needs. AV homes have 9 new models to choose from. We have found them to be energy efficient. and quiet. Gail – your option but I WALK and if more people would do this these #$#%%@# would be left sucking their thumbs. IMO there is another Housing Bubble brewing and coming soon. We did walk, are now looking at resales in the same development. I was quite surprised at the add-ons (not amenities like granite counters), but the Lot Premium ($9300 to $20) and elevation premium ($9300) before you even began to add amenities. Like the development, but it’s not the only show in town. I like your eight priorities on your list! Can you elaborate more on the cost of things there? 1. What kind of home are there? Condo’s or actual homes? 2. What are the ranges in costs for these homes? 3. What are the Home Owner Association (HOA) fees per month on average? 4. Do the HOA fees include lawn care or is it extra? 5. Are there any other fees besides HOA? 6. Are clubs and classes ‘free’ or do you have to pay membership fees? On Top of the World sounds like a great place! Thank you for any further information you may feel inclined to offer! I would also like to know about the healthcare in the area. This is really important to me. Has anyone have anything to say about the Phoenix area? Thank you Joani for the interesting post. I like your list especially the lifelong learning. I am really surprised about no dog parks…I notice most have them…of course, I haven’t looked in FL, at least not yet. Can you tell us the “two almost mistakes”? Not necessarily the actual place, but what the mistake was…just want to be sure I do not lose track of things. The hardest thing for me is evaluating the surrounding area. Adult communities and downsizing: what is happening? I noticed that some of the adult communities that I look at (on-line) are starting to have larger floorplans and some are eliminating or reducing the number of smaller home models. I did talk to a DelWebb rep via telephone and he said that is what their surveys are telling them. People want bigger houses. Yet on these blogs, that is not necessarily what I am hearing. Are these the younger retirees since these would be communities that are still building? Perhaps, Elaine. Some of the communities i’m interested in are not age restricted, so some families must not be retirement age. I would be so happy with 2000 sq. feet (larger than i have now), and only two full baths. So many of the homes that are already built have 3, 3 1/2, up to 4 1/2 bathrooms. However, i am not retiring to clean bathrooms! It would be sooo nice to find a beautiful home on a beautiful piece of land that’s not ridiculously large!!! I am referring to 45+ and 55+ communities. Like Ella, I do not wish to spend time cleaning a large home. They seem to be building larger places. I rent a 4 bedroom home in all age community. But if I move to a 45+ or 55+, I would expect to find a lot of 2 bedroom homes with less square footage as well as some larger ones (for those that expect their extended families to visit. But lately the homes are “growing”. Is this younger retirees? I am one of those potential retirees that wants a home in that 2,000 to 2,500 square feet range. I want larger rooms, and a roomy storage space for the holiday decorations, suitcases and other stuff that I don’t want to get rid of yet. I am ok with 2 bedrooms, but would like a den/library/office for my books and computer. I’d like a sunroom or screened porch too. I’ve looked at smaller units with 1,200 to 1,500 sq. feet, and can’t imagine living in one of them for 20 years. It’s funny, since my parents raised a family of four in a small New England home with about 1,200 square feet and one bathroom (not counting an unfinished basement and attic). It seemed cozy when I was growing up, not cramped. As I look at the cost per sq.foot of some of the new units, with options added, the smaller spaces are starting to look more attractive to me. joanie, Great information. Did you find any communities along either coast that met your criteria? We have basically the same priorities but don’t know about living in central Florida. I should correct my post above. I DO want a large piece of property, not a large home; and therein lies the problem. It is assumed that if i want a decent size property, i have $ and want big, big, big! I don’t. Just want to feel the outdoors around me and enjoy people on my own terms. Sign me, friendly hermit. Elaine, we live in a Del Webb community and the houses range in size from 1200 sf to nearly 3000 sf. We have a 2 br / 2 Ba wit a den and sunroom that is about 1750 sf. We are very happy with our choice and are very happy with our decision now that we have been here for 18 months. We talked about going bigger but decided that eventually one of us would be by ourselves. It required a great deal of work to pare things down but we did it so we picked our house based on our needs instead of one that would hold all our stuff. SharonA, I lived in Surprise, AZ over 10 years ago. My late husband and I bought into Sun City Grand. We loved it. That was TEN years ago. One of my neighbors there recently told me that the area has become extremely crowded, especially when the “snow birds” arrive. On the brighter side, more highways have been built, which makes traveling around town easier. You can’t beat the climate. The summers are very hot, but I would rather spend my time in a dry 120 degrees than in a humid 90 degrees. Most of the people are from the midwest and California. The neighborhoods are very friendly and there is plenty to do. Ninety percent of residents ride around in golf carts, whether they golf or not. There are shopping centers within cart or walking distance from your home. I moved back to PA when my husband died and have been sorry ever since. I am looking at resales at SSG as a possibility for my retirement. PA is very nice as well if you don’t mind snow. I am about to become a widow once again and I am looking at Delaware, which is a very affordable state in which to live, although not a very scenic one. If I stay in PA, I will probably end up in Amish country in Lancaster County–very safe and beautiful. I hate Florida for their humidity, bugs and hurricanes. However, I am an avid golfer and would like to retire where I can make new friends and be accepted for who I am–not for the size of my house. If someone volunteered to pay my moving expenses, I would return to Surprise, AZ in a minute! I am not sure how to start a new topic. But are there retirement communities that don’t have all the HOA fees and being told how to live. I believe there should be some control. Are there retirement places that you can pay for what you will use as opposed to paying for everything and only using one thing in a retirement community. I am interested in relocating to Southeast. It gets cold in Cleveland, Ohio. It’s not “Lonore,” it’s Lenoir City. Lots of physicians and attorneys and other professionals live there. It’s not just for retirees, either. We are considering Pelican Preserve in Ft. Myers. Has anyone got experience with this community? Ronald – I live in SW Florida and to my knowledge and my wife’s who has lived here 38 years there are no “a la carte” HOA fees. You look at a community and evaluate their fees and choose what you can handle. You will pay for all the services you do not use and when improvements are needed you get to vote but have to abide by the majority. This is the reality and can be very challenging and frustrating. This is the world of communities here in Florida in gated or 55+ communities. Find a condo, villa, house not in a community to free yourself from these hassles or just rent like we do. For Sheryl: We moved to Pelican Preserve in 2012. Rented for many months while our home was being built. We love the house but the building process was painful. It took two years for all the little problems with a new home to be fixed and now all is fine. We also moved into one of Pelican Preserve’s “new” neighborhood so have put up with major construction noise and dust for two years. WCI is just now finishing up our neighborhood. It is a beautiful place to live. HOA fees are high but worth it if you use the amenities. People are friendly but there are many, many groups here that only seem to associate with you if you play golf, tennis, etc. Otherwise, they thumb their noses. It’s about 50% snowbirds also and we do love the 6 months + where “they” are gone. Ironically, after our house was started, WCI put out numerous new floor plans with bigger sq. footage. Those have sold faster than anything under 2000 sq. ft. If they had been available, we would have gone bigger (we have 2186 sq. ft.). We downsized considerably but storage is minimal and the kitchen is minute compared to what we are used to. I would gladly go bigger even at this stage if my husband wouldn’t have a heart attack! I have a question that deals with finances for the snowbirds who spend half the year in Florida and the other half in a northern state (own 2 homes). One of the attractions of living in Florida is that there is no state income tax. Yet many of us live in a northern state where there is a state income tax. I’m wondering how those of you in this situation avoid paying state income tax in a northern state where you may live for half or close to half of the year and the rest of the year in Florida. Is it possible to avoid the state income tax? Thank you for your responses. Interesting posts. Another suggestion for a new topic for a blog! I finally have my eye on a particular 55+ community, and would like to build in 2-3 years. My next step is going to figure out how to approach that process intelligently. I want to be prepared to hear about lot premiums, options, construction timetables, etc. etc. etc. Will I save money by using a realtor, or by not using a realtor? What are the mistakes that people have made when buying a new home in one of these 55+ communities? What options are worthwhile? Do you have the builder install options and roll them into your purchase price (potentially impacting your tax basis), or do you install items after-market? Estimated legal costs to have contracts reviewed? Did you feel rushed or pressured by the developer’s salespeople? I’m sure there’s a wealth of experienced people here like Terri, who have been through this process already. Administrator – new topic, please? Tom – I am an accountant and MBA but you need to talk to a tax expert. Many people here in Florida try to claim their Florida residence their “primary” home of residence for tax purposes but it is where you make your income that counts. Get professional assistance and not rely on this blog. Be careful and protect yourself. My husband and I went to Puerto Rico on vacation many years ago to a very upscale resort. We spent most of our days at the pool enjoying ourselves. Each day a herd of children arrived and used the pool for several hours and we found it quite annoying because these people were NOT staying at the hotel. We found out that the hotel allowed outsiders to come and use the pool and charged them daily fees per person to do so. So these children were presumably from some daycare or camp. So now my question is if you are in a 55+ or non 55 age restricted community, would they allow outsiders to come and use the pool, and other amenities and pay to play? If so, that would really annoy me if lived in that community! However, if I were to buy a house not associated with a community, I can see how it would be nice to pay fees for a day here and there to use a nice pool and other amenities. Does anyone have any insight on this type of situation? Another example of this is some friends of ours belonged to a camper club and with their membership they were allowed to use pools in certain hotels all over the USA. They actually invited us one time to a local hotel with an indoor pool. We spent a hour or two and then went out to dinner in the hotel which of coarse was not free, but use of the pool was with their membership. Does anyone know of such memberships you can buy at a local hotel to use their amenities? Let’s say you live in an area that has a Marriott and has a wonder indoor pool you could use year round. Would they sell you a ‘membership fee’? If so, that would be particularly exciting! Use of a wonderful pool with no responsibilities! I ran across this article on ‘daycations’. Really great idea! However at some of the prices at $30 per day per person it would be a bit pricey for an everyday venture! You’d need to pack a picnic lunch and bring your own wine! My husband and I are seriously thinking of moving to a manufactured home in florida soon. We are going down there from the Chicago area for 2.5 weeks in early January. We are looking around Haines City and Winter Haven. Can any give me an idea of what car insurance runs? And how about utilities? Can you recommend movers? Donna – car insurance varies with providers. I am retired military and USAA is the best deal anywhere. I saved my children over $80 per month each. My wife and I pay only about $110 per month for two cars full coverage $500 deductible. Utilities also vary with use and season. we have a 2000 sq ft villa and it costs us from $200-$100 electric per month. I visited various townhomes/condo type places in central Minnesota near a wonderful full amenity resort called Arrowwood. For a reasonable fee, you could purchase a pass to use their pools, beach, golf course, etc. Keep asking…….the options may surprise you! Jeffrey Gilfoy- Hi Jeff, I am a 10 vet USAFSS. R U in Fl in a 55+ community. If so, (if u care to share) where r u ? Jeff, yes we also lived in Naples about 10 years ago when my wife was working but had to move for various reasons – mostly financial when she had to quit work(breast cancer survivor). We live in Pa now but are moving back South (prob Fl) as soon as I can sell our manufactured home here in a 55+ community, Carlisle Pa. I Don’t even want to start talking or thinking about Opopa. We lived in Port Orange Fl for quite some time and will either be moving back there (familiar) or gulf side – maybe Tampa area. Hope things work out for you. Well, one thing if u served in a sub you could probably live in a 1 br 1/2 bath room = LOL. But then ur wife wouldn’t be too happy!! We’re looking at Lancaster County, PA for retirement and purchasing a home on a 55+ development. Can anyone help with areas/developments to avoid and ones to look at? Another resource that some might find useful to supplement the great resources on this blog. http://www.55places.com. It is better for some states and/or locations than others. I like that you can sort by community size. That is helpful for me as a single…I would prefer something on the larger size, but not The Villages size. There are a few other search filters. Also like the fact that is shows if there are new only, resale only or both. Another feature is you can look at floor plans for the models. Good if there is more than one builder. If you look at an existing home, there is some useful information and most (not all) have the actual address…so you can use Zillow, Redfin, Trulia or other such sites. Just another resource in THE SEARCH for a retirement home. Sharon A: The Phoenix area has a decent amount of active adult communities. However, Sun City Oro Valley in Tucson, AZ has a lot to offer, too! Florida may be dominating, but that doesn’t mean that there aren’t great active adult communities in other states! Sharon really all you need is common sense to buy in these places. I used a realtor because I had one take me to about five places in one day and to tell you the truth she’s prove to be invaluable. When you’re alone against a builder your very little leverage your realtor can get involved should there be issues. Sharon really all you need is common sense to buy in these places. I used a realtor because I had one take me to about five places in one day and to tell you the truth she’s prove to be invaluable. When you’re alone against a builder your very little leverage your realtor can get involved should there be Issues. Lot premium is probably the place where you can negotiate the best. It’s pure profit for the builder some people have posted on this and other sites that they believe that the lack premium to be $20,000 in every case. Not so not only was my lot not that much but my sales person very kindly got it down for me lot premium is probably the place where you can negotiate the best. It’s pure profit for the builder some people have Simply because she liked me as you can see I should’ve asked for it. As far as options more often than not the builder will overcharge you for things. There’s certain things you want done before you move into the house like flooring. Just realize you’re going to pay more. But things like granite counters were there not included you can do after for probably half the price. California is the place i would love to retire. I like the Santa Barbara area but would like some recommendations on alternative locations that might not be quite as pricey. For Robji….Santa Barbara is very expensive. Look into the Cochella Valley area (Palm Desert, LaQuinta ,Indio, etc. Lots of retires there and much more affordable. Just remember most everything is more costly in California! Rob, I have lived in the Los Angeles metro area 58 of my 65 years. So I believe I can make a solid recommendation for you. The city of Camarillo is 45 miles south of Santa Barbara, situated right along the 101 freeway. The city has a population of about 68,000, and is a popular retirement area for Southern Californians. The crime rate is low, and year round weather is very good. Camarillo is located 7 miles inland from the Pacific. The atmosphere of Camarillo is laid back and safe. This is a quiet town, and nightlife is lite. Also, California State University Channel Islands is located here. This is one of the smallest campuses within the California State University system. Camarillo is expensive, but nothing like Santa Barbara on the Gold Coast. Here is a starting point on pricing: 2 bedroom, 2 bath, 1100 sq ft townhouse, starting at about $325K. I highly recommend Camarillo for retirement if it’s within your budget. Ready to put the cold winters of IL behind us and be snowbirds, we are debating whether better to buy a single family home in an active adult community or a condo near or on the beach that we could rent out part of the year. We realize there are pros and cons to each option but would appreciate hearing from those who may have also considered a home in an active adult community (would not want to rent that out) vs a condo that could generate rental income part of the year. Thanks for any advice you can offer! Thank you for the long list a great 55 and over communities. This article has helped me a lot to figure out where exactly I want to relocate my mother when we move to Florida. I have been searching all over for a comfortable community for her and I found a great Realtor that has listing for all of these suggested places. I cannot wait to go see them. With my mother’s low social security income, we need a place that is affordable but spacious and I really feel want to look into an active adult community in Delray Beach I love that area and so does she! Thanks again for the list of great places. I am sure I will be visiting one of these to look at! We are currently living near Springfield, MO. Would like to move to a less rural area, but near a Springfield sized town. Need enough land to support 4 horses, would like horse/golfing friends/neighbors. My S.O. is really troubled by the humidity and the bugs where we currently live. Any suggestions? Get rid of the horses. A little harsh on your response, Billy, you must be a helluva humanitarian ( Total sarcasm). I thought this site’s mission was to help people? Lee, I thought Billy’s response was hilarious. We don’t need to be so serious that we cant have a little fun. Right? Florida at one time was extremely affdordable …..truly the place to retire….. In areas that have shopping and good medical facilities these 55+ communities are really expensive. Even if you find a property that is something you can afford, be really careful on the home taxes, which we have found to be 2% in most areas, and the HOA fees. Some areas have a CDD fees on top of all of this and then check the bylaws about having to paint your home approximately every 5 years. All these hidden costs make it less attractive when you have limited income…Sorry I moved to Florida…Anyone looking for a beautiful home in a gated 55+ community?? I have one! We moved end of 2014 from Colorado to North Port, FL, a fast growing place. We live in a beautiful 55+ community called CYPRESS FALLS in The Woodlands. We have a resort type swimming pool, resistance exercise pool, jacuzzi,tennis courts, large Clubhouse, and more in this gated community. We live in a 1600 sq ft Villa, 2 bed. 2 bath & flex room. Great floor plans. One side is gated with Villas, the other side of the street is also gated with homes, and more Villas. Everyone is very friendly. Excellent landscaping. Maintenance free. Cable incl in the HOA fee of approximately $278.- a month. Many ponds & lakes. Fitness room! Very active Clubhouse schedule. Next month we are attending Paela & steel drums at the clubhouse 😉 2 pets allowed. The pool is so beautiful and heated. This is a treasure in Paradise. Tile roof cleaning and painting of homes included. Very close to I-75. Central location. Great hospitals, restaurants and shops. 30 min to beaches. We have approx 350 residents and the final count will be around 700 residents. Owned by Pulte/Centex Homes. Prices start in the upper 100’s plus upgrades. We found this hidden gem while vacationing in Florida. North Port is located on the Gulf of Mexico side of Florida. 45 min to Fort Myers. 20 min to Punta Gorda. 40 min to Siesta Key Beach (#1 beach in the USA) and approx 1hr & 45 min south of Tampa. 35 min to Boca Grande Island. 35 min to Sarasota. 3.5 hrs to Miami. Excellent location for CYPRESS FALLS in The Woodlands, without the high prices. Some homes are 8 yrs old and some are new and still building.